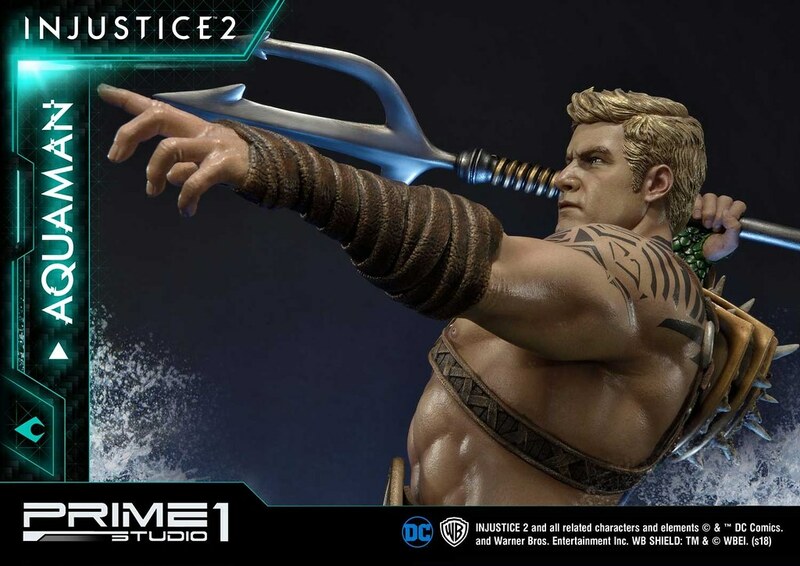 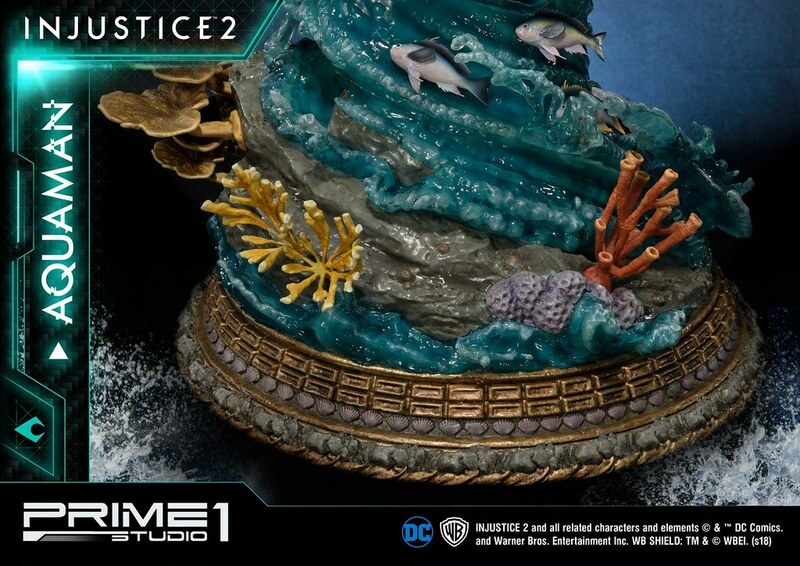 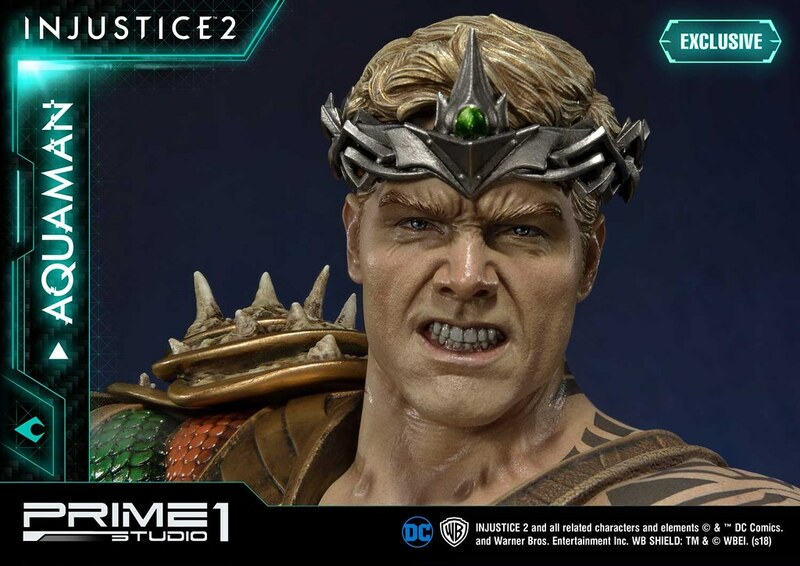 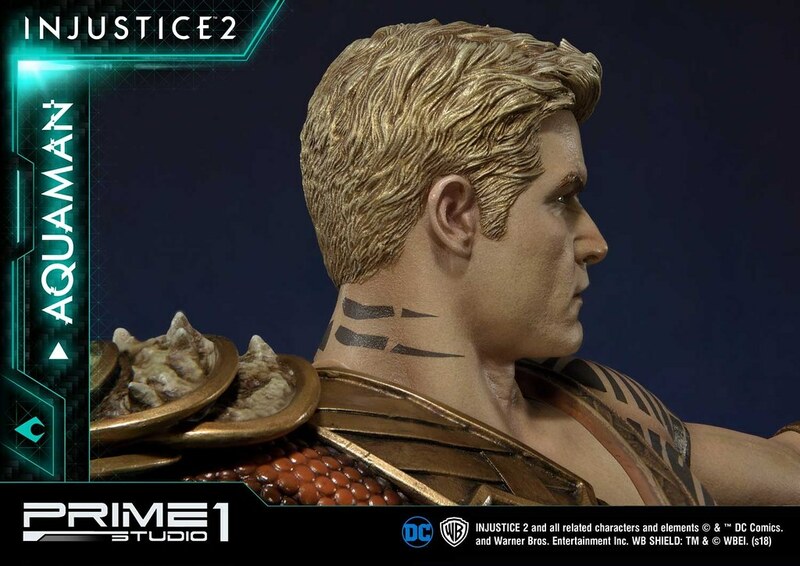 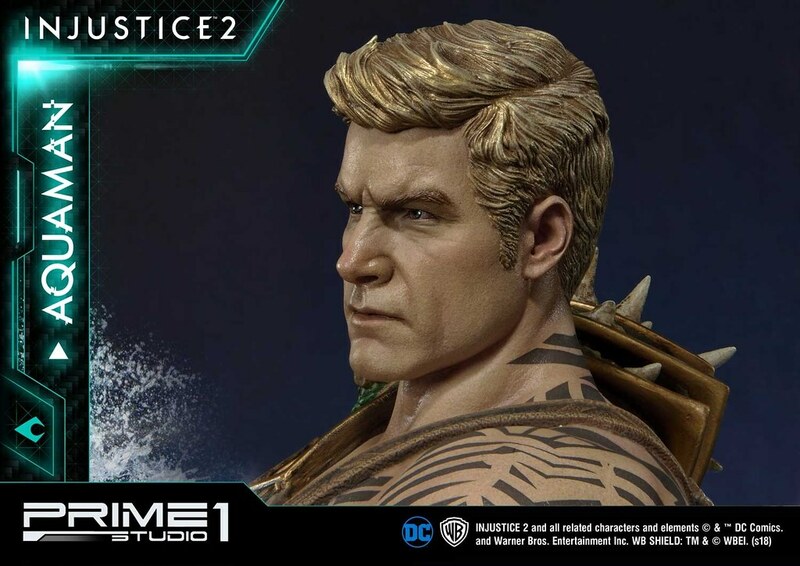 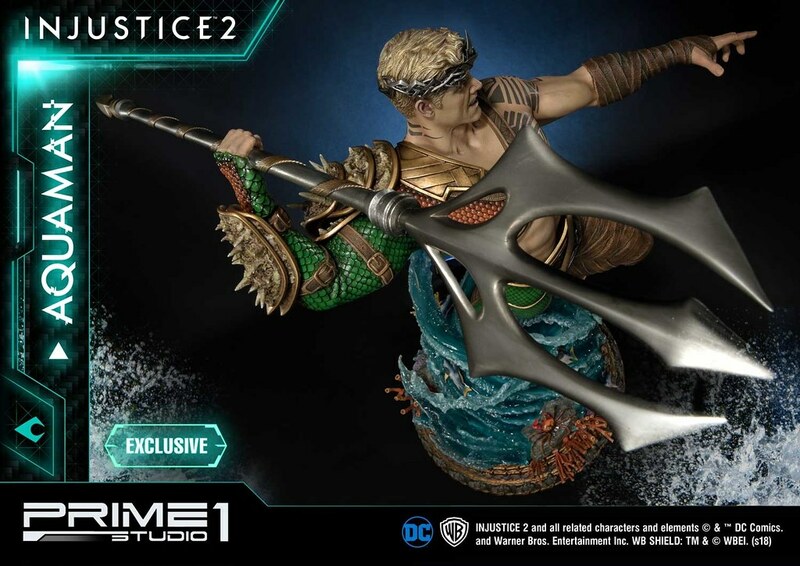 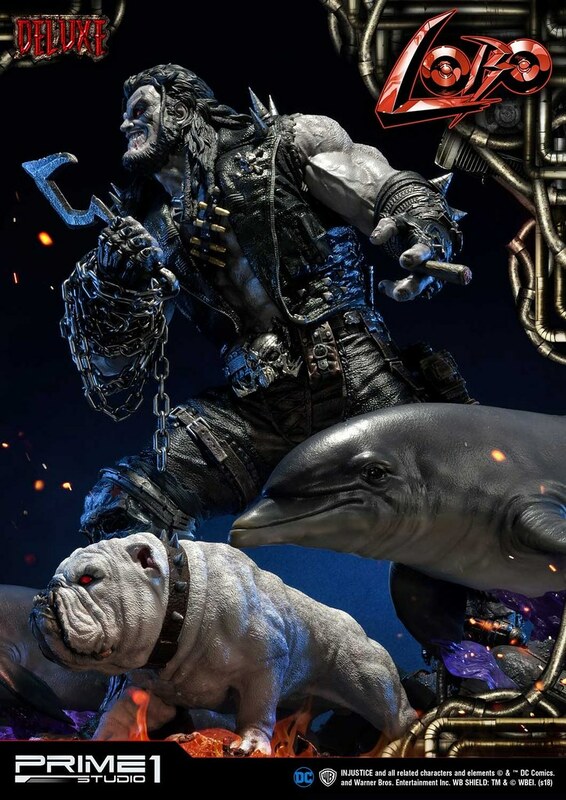 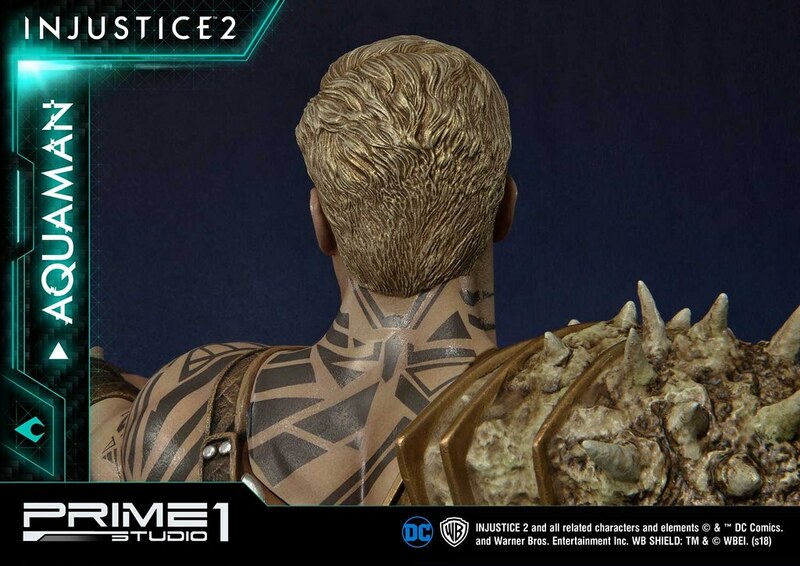 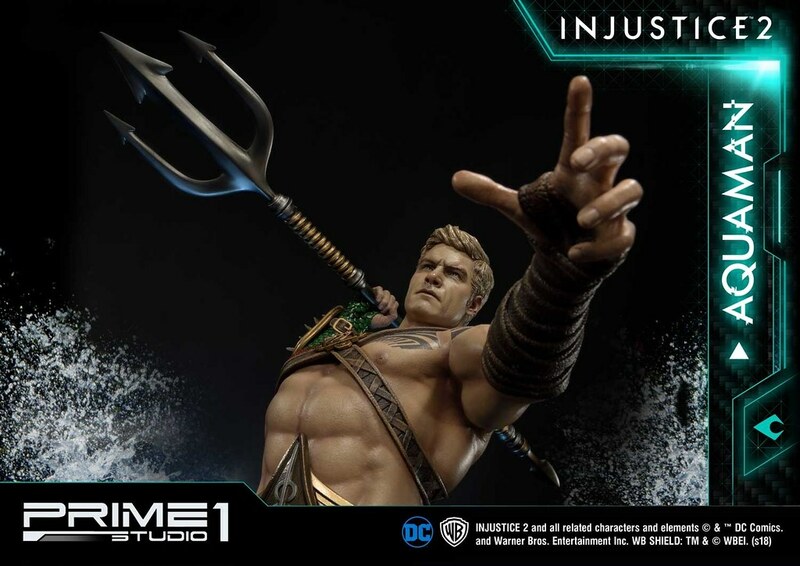 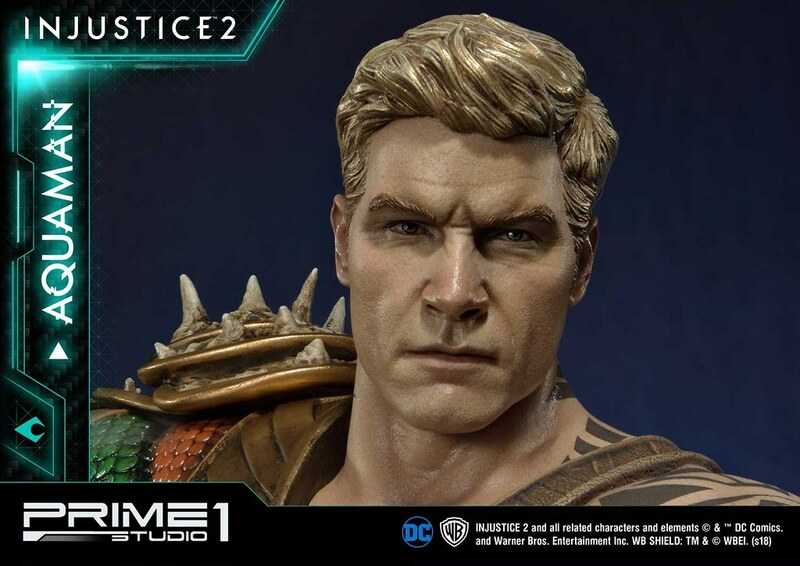 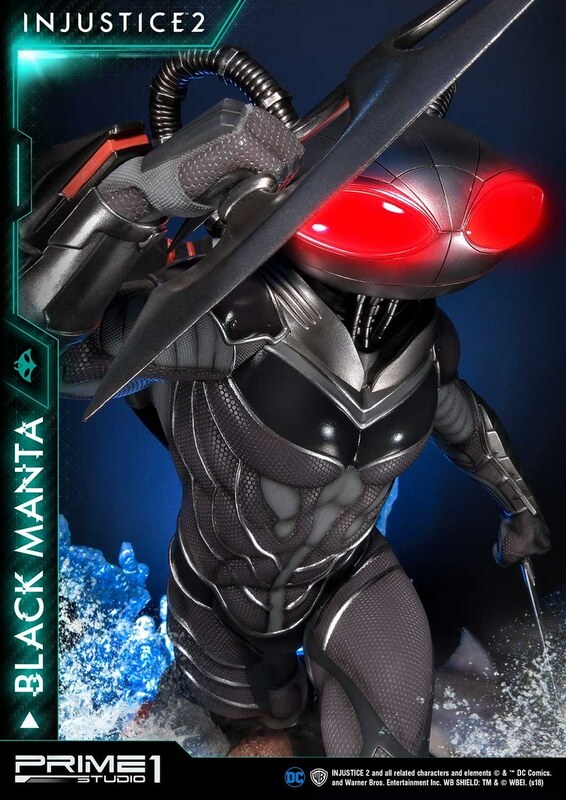 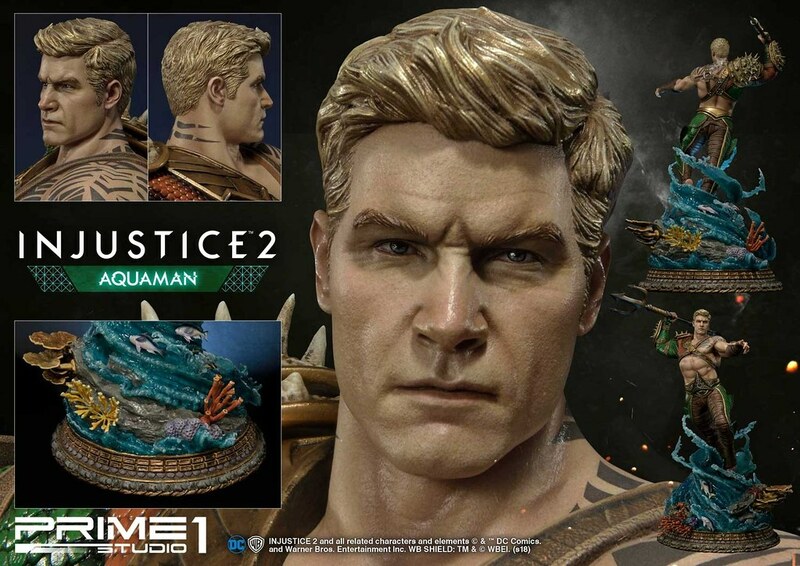 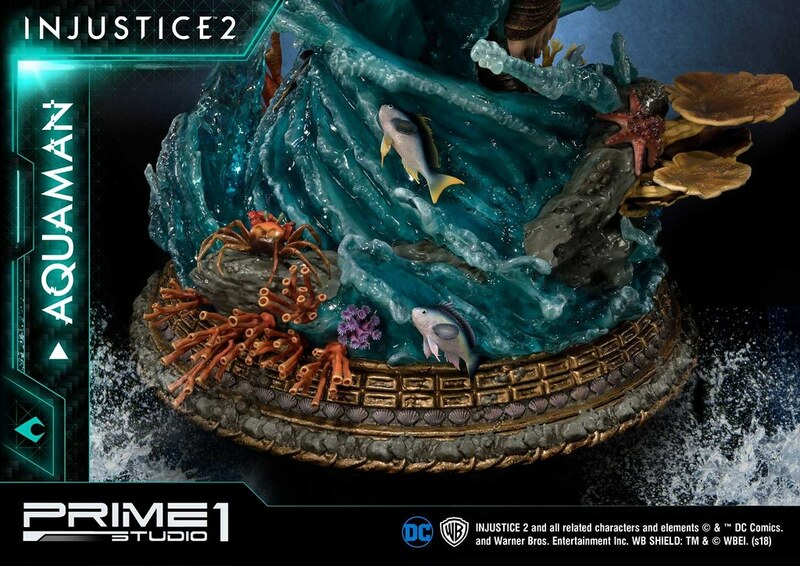 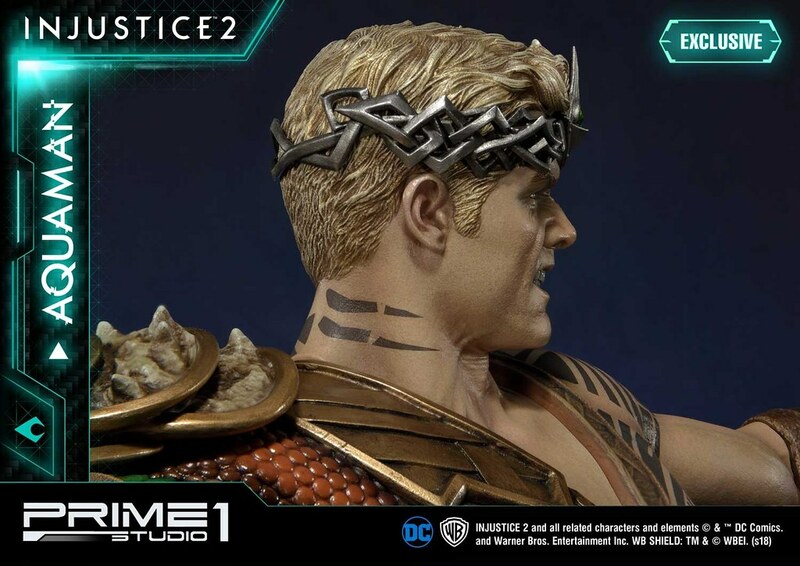 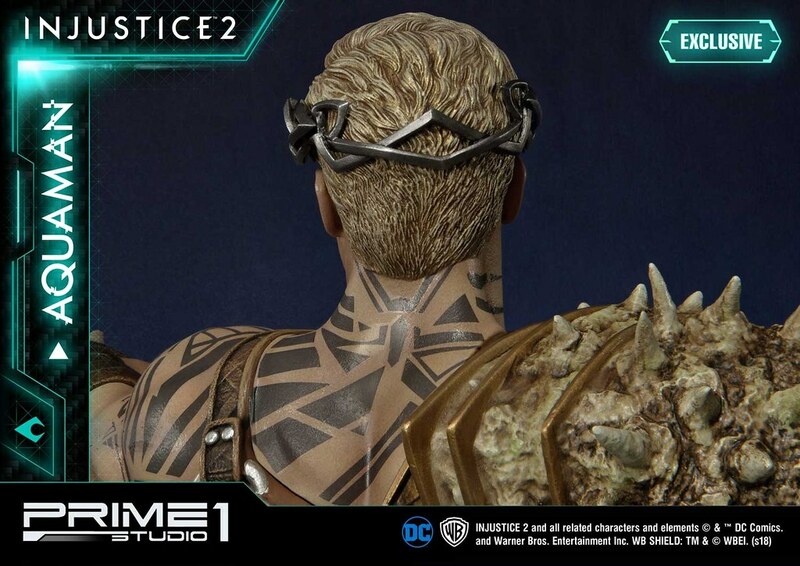 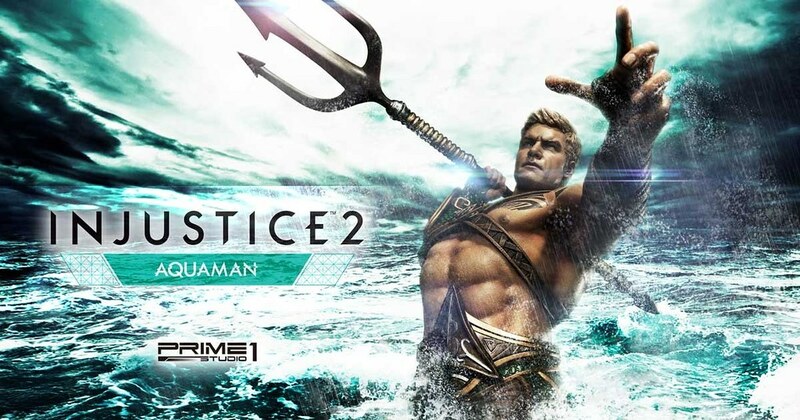 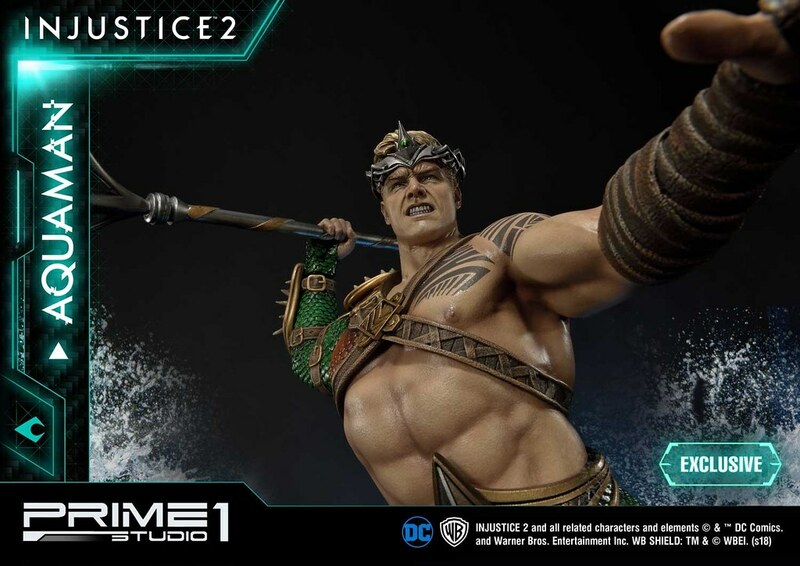 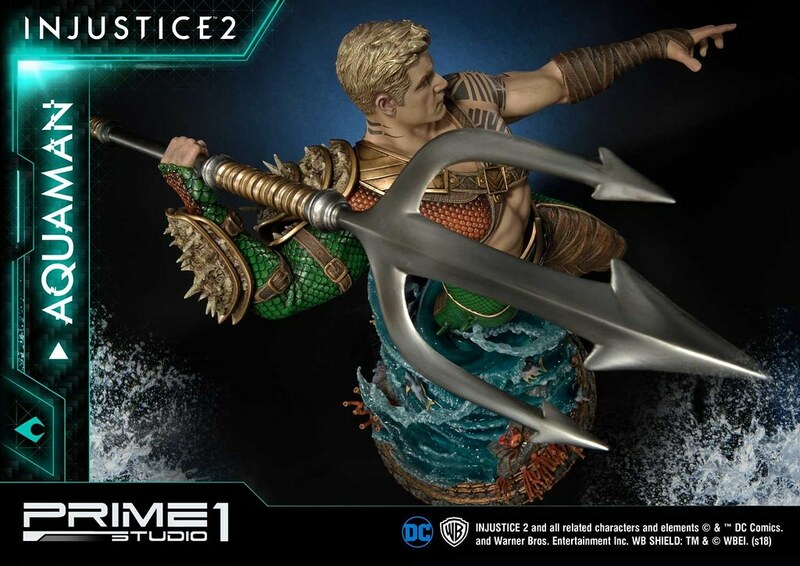 After releasing Black Manta, Japanese high-end statue brand Prime 1 Studio recently announced the newest piece from 'Injustice 2', Aquaman 1/4 Scale Statue, scheduled to release between 2019/12 ~ 2020/02. 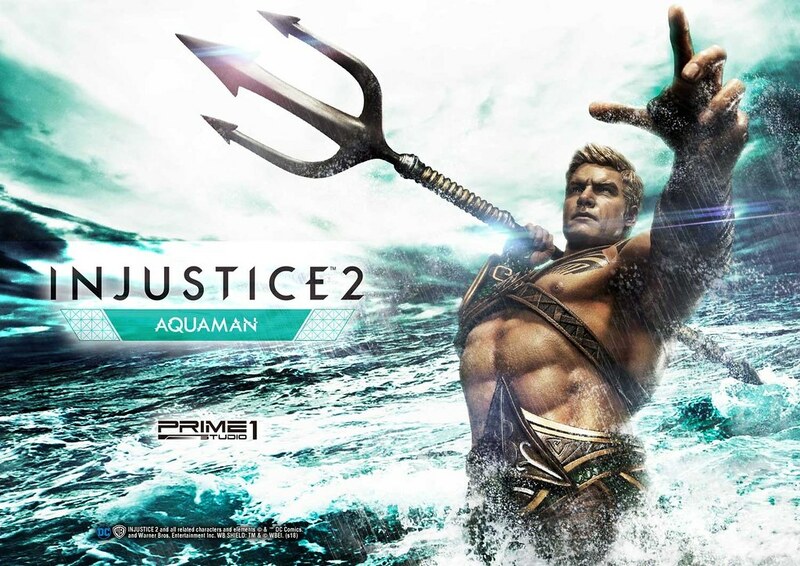 'Injustice 2' is developed by Netherrealm Studio and published by Warner Bros. Interactive Entertainment. 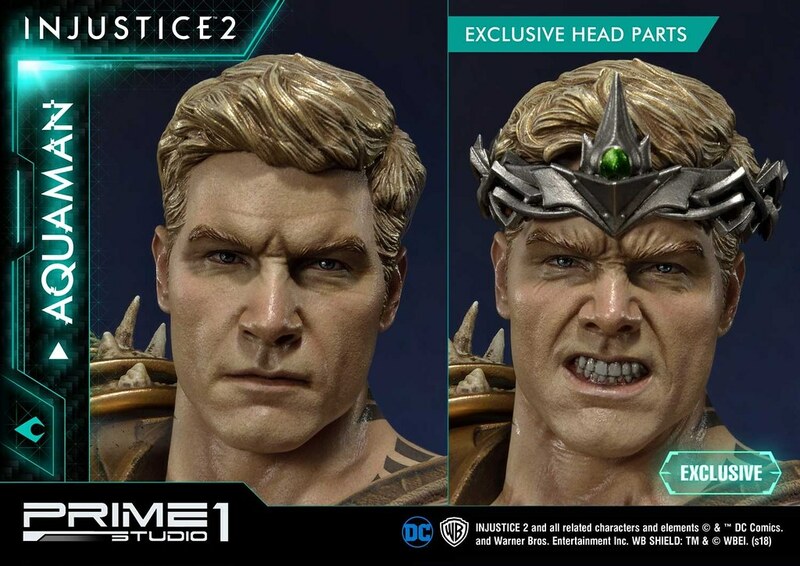 Players control both heroes and villains of the DC Universe to stop Brainiac from taking over the world. 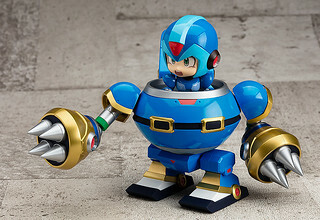 Each character has awesome "Super Moves", and the new gear system allows players to customize their characters. 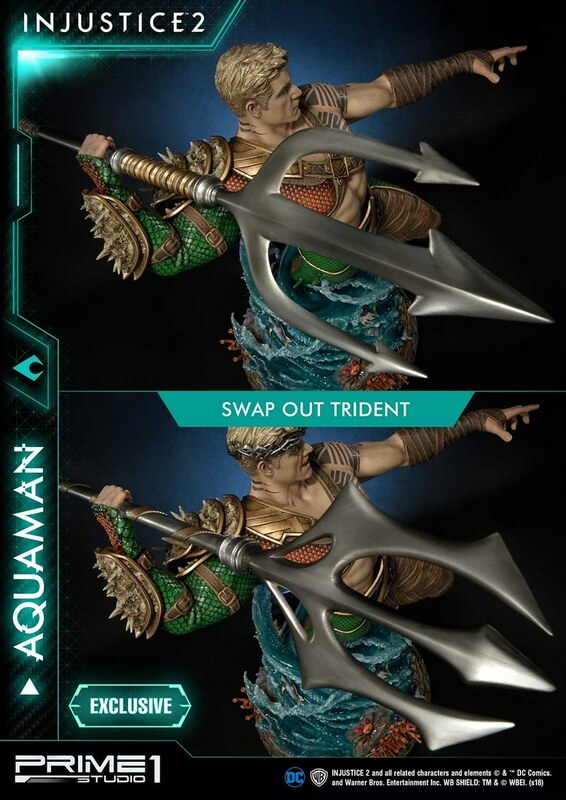 Aquaman not only uses his signature Trident to stab and throw enemies, but he can also summon giant squid's tentacles to hit and create barriers; His super moves summons giant sea monster who clenches his opponent between its teeth, so awesome! 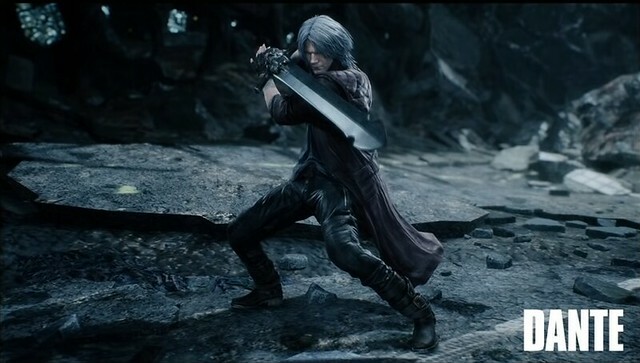 ▼Let's see how he fights. 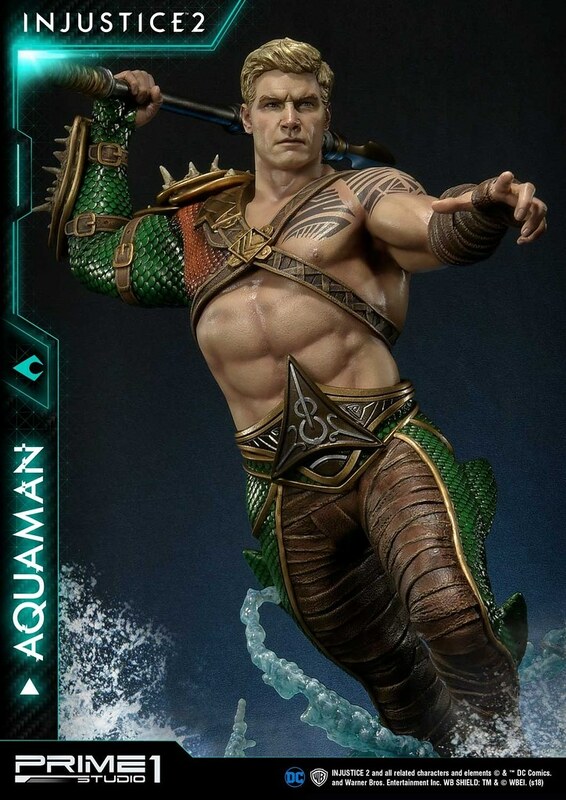 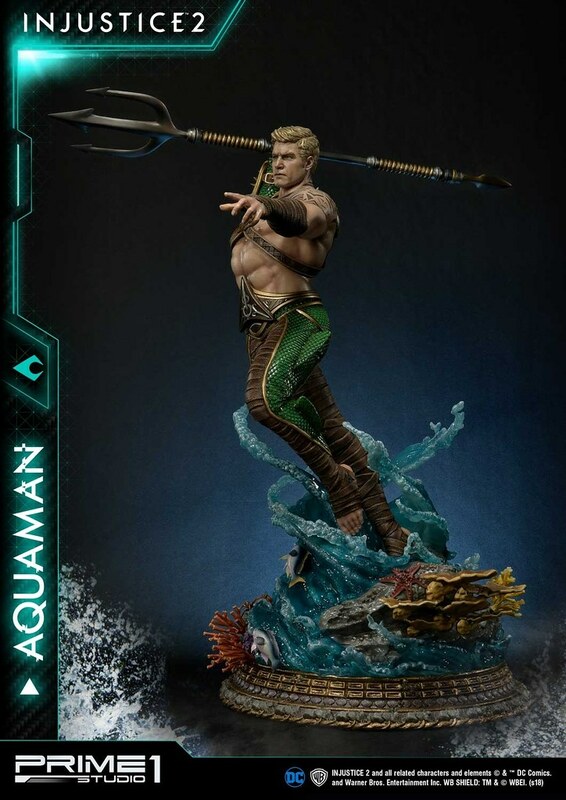 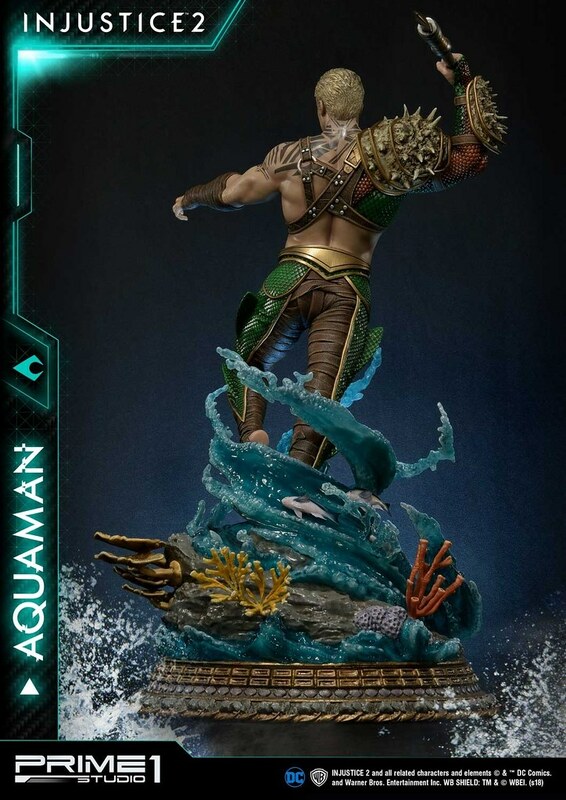 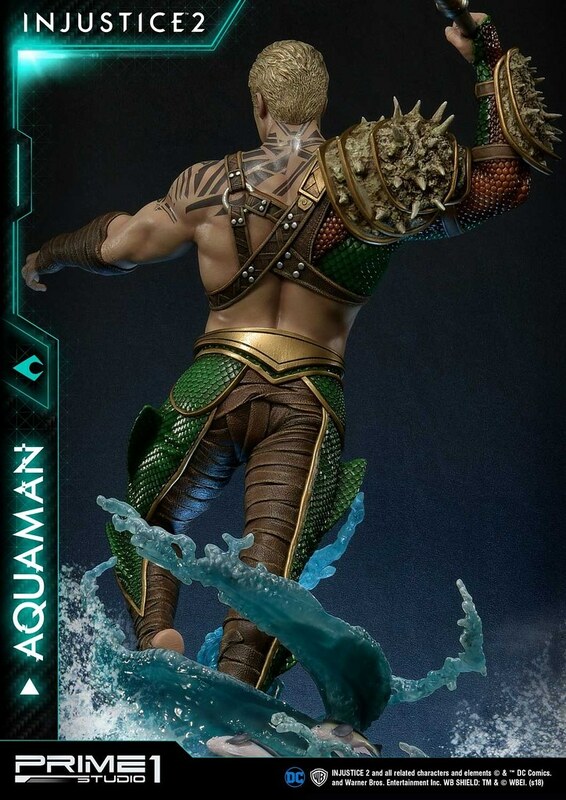 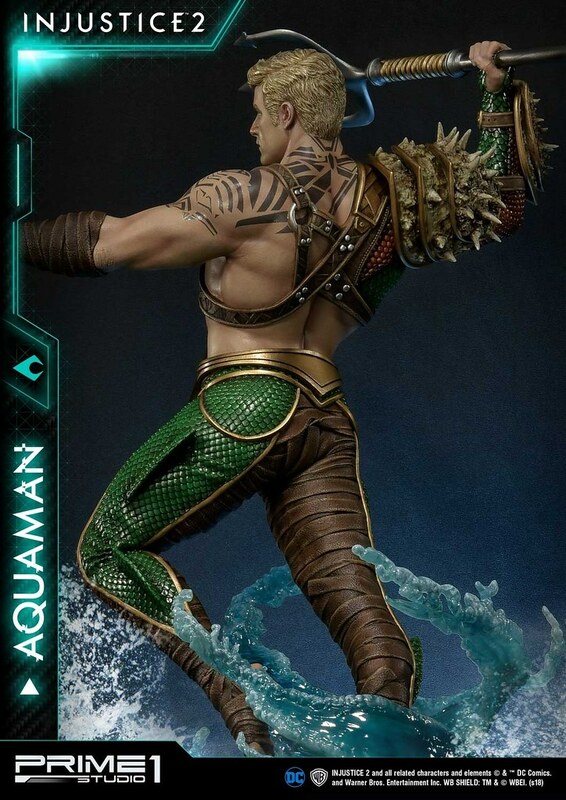 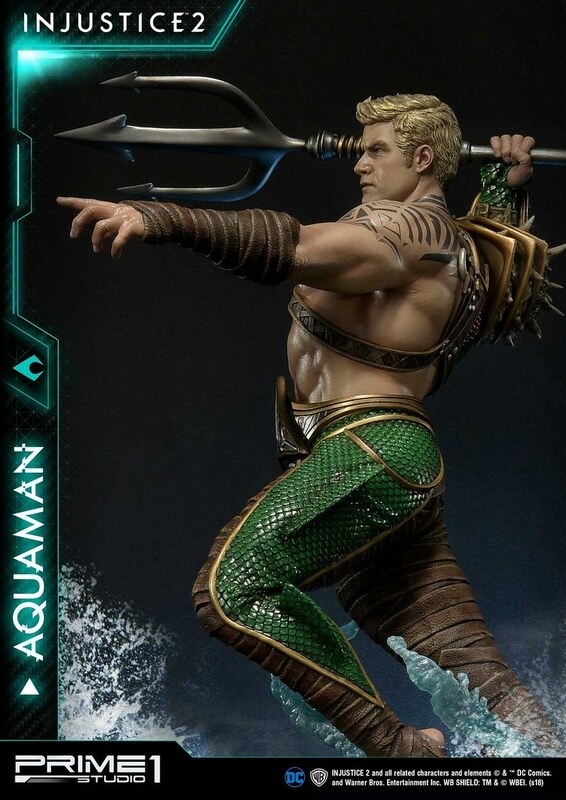 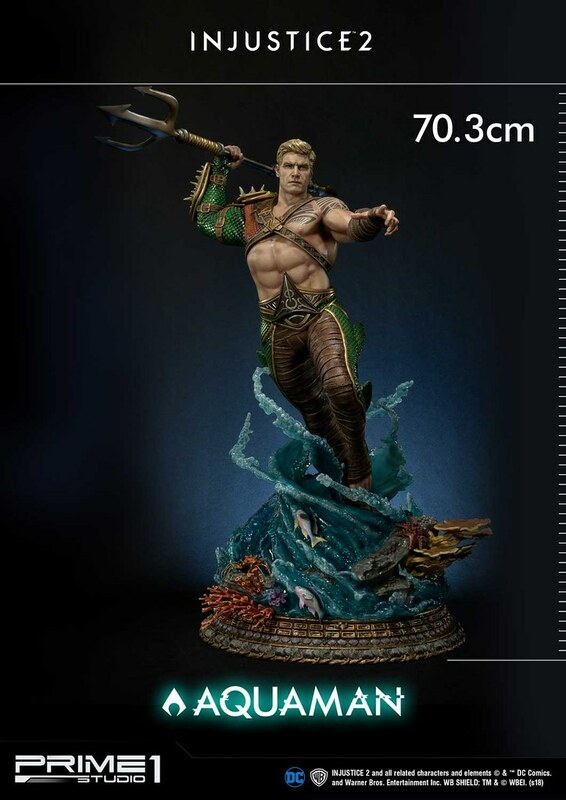 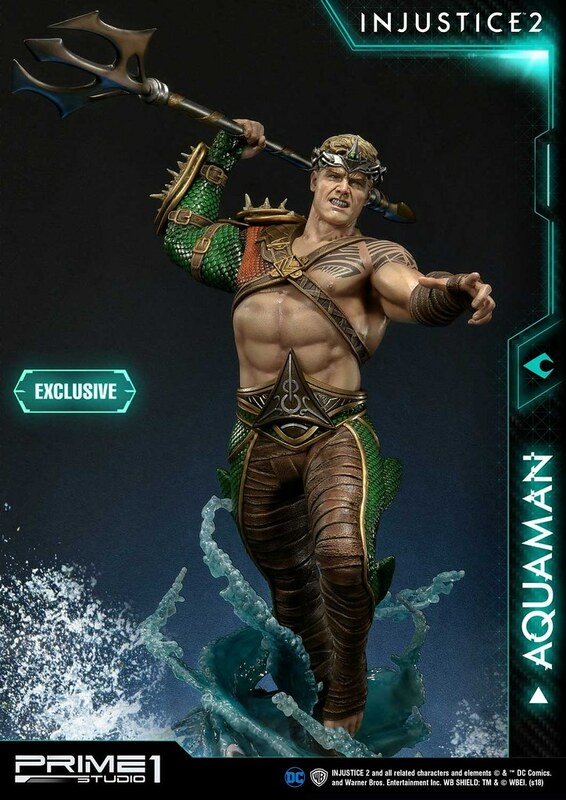 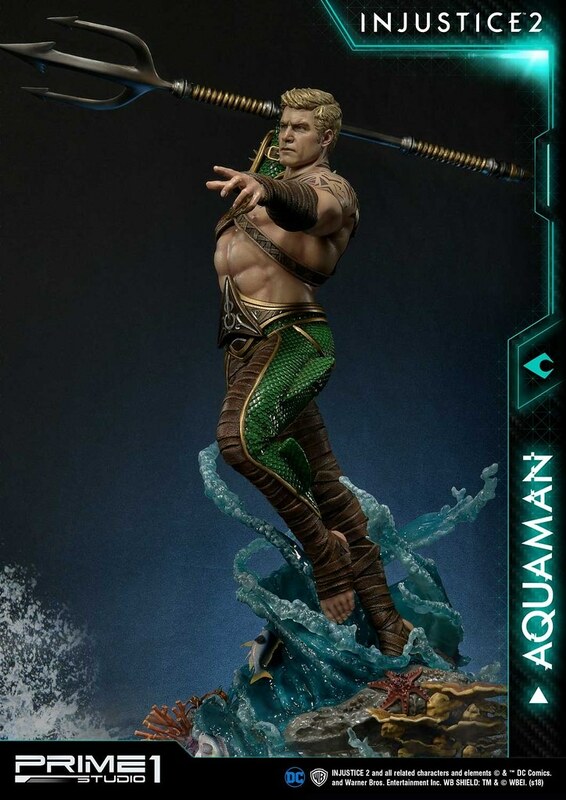 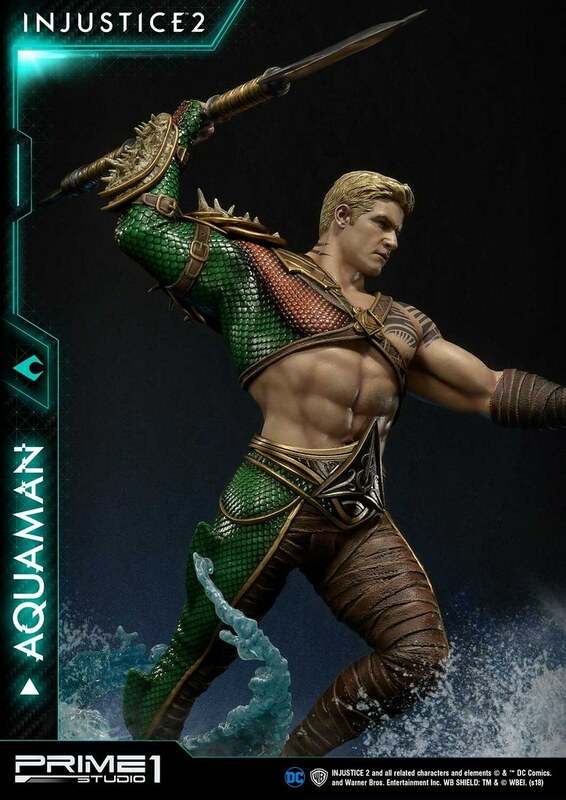 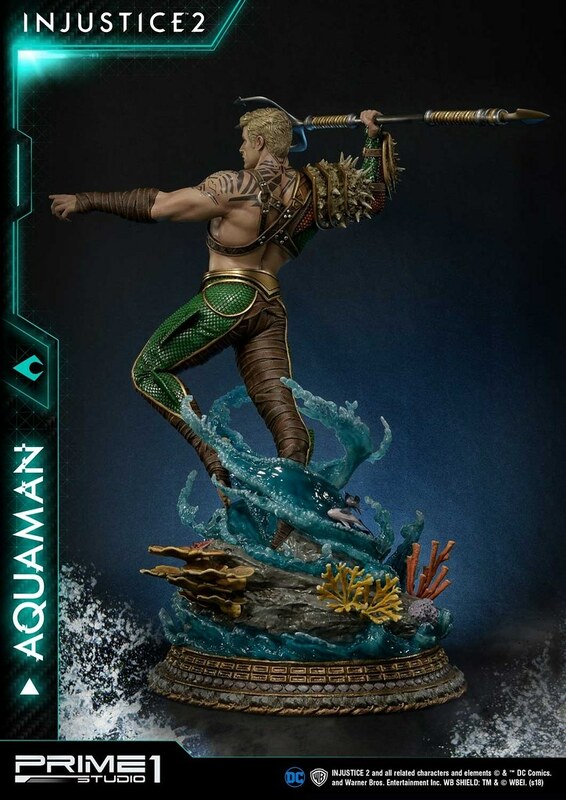 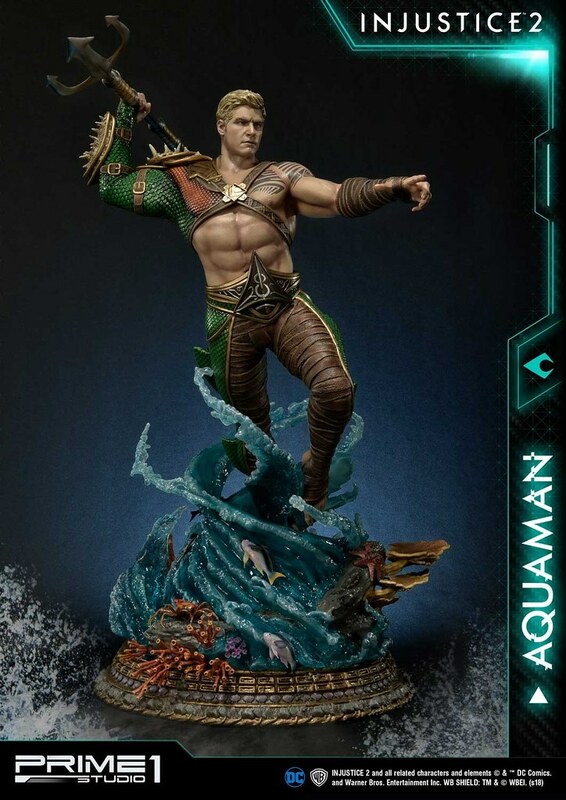 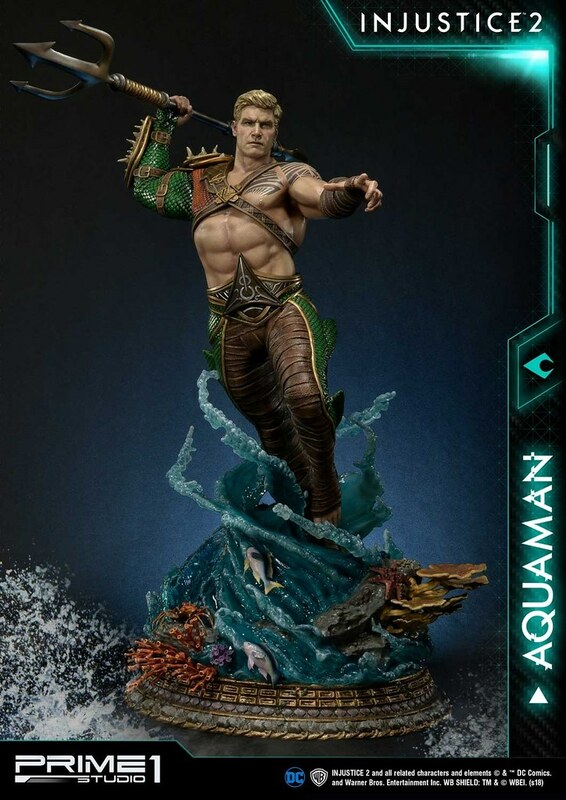 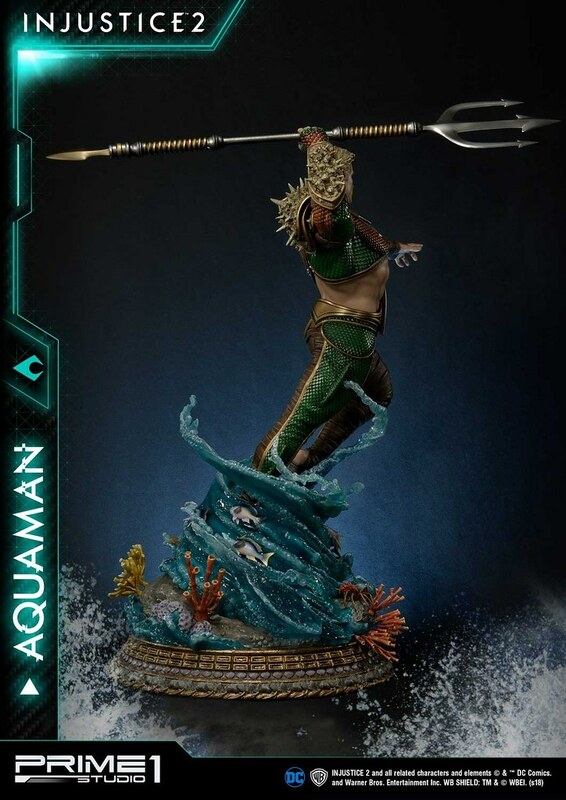 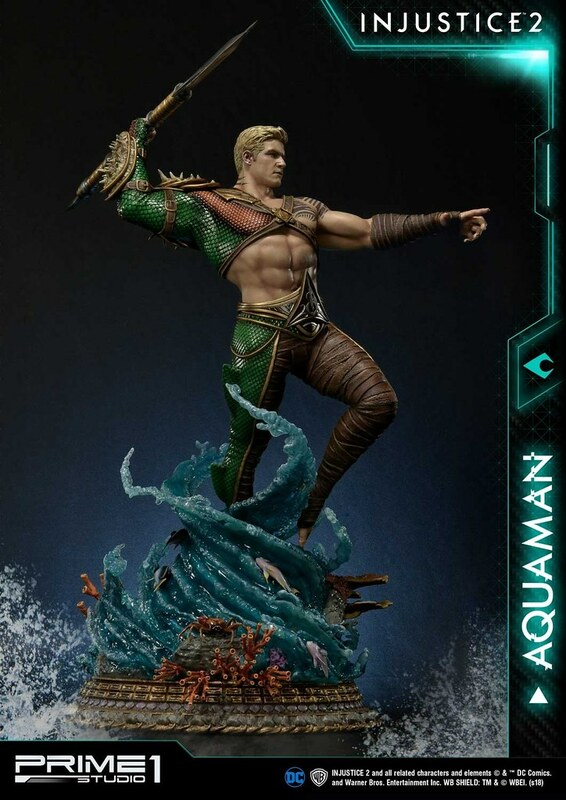 Aquaman 1/4 Scale Statue stands 70.3 cm, based on the design from the game, displays the seaman ready to thrust his trident, with a well-built body enhanced with shading paint job. 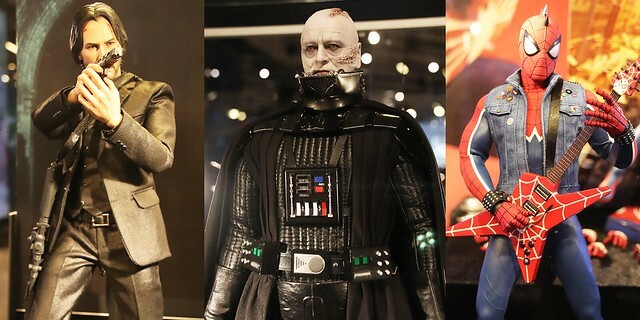 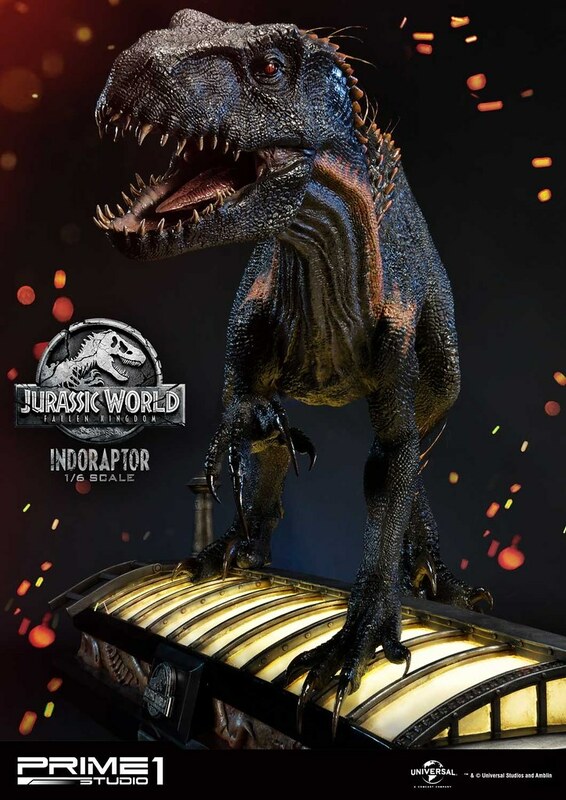 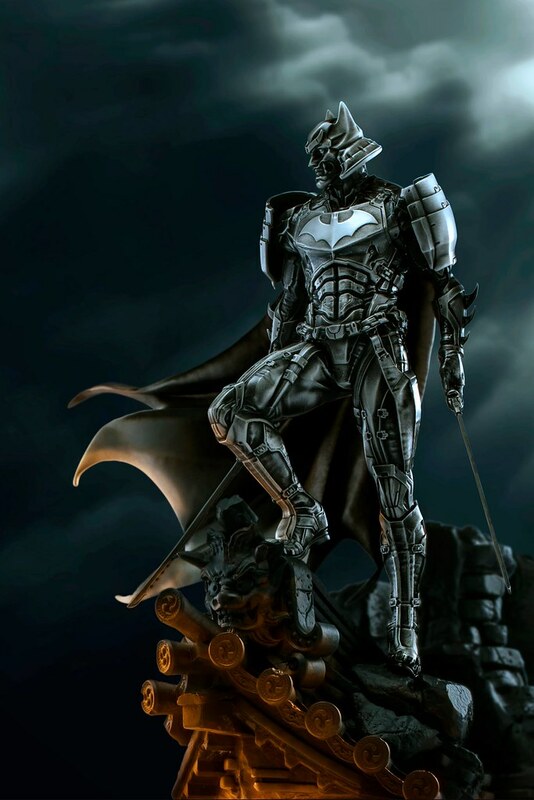 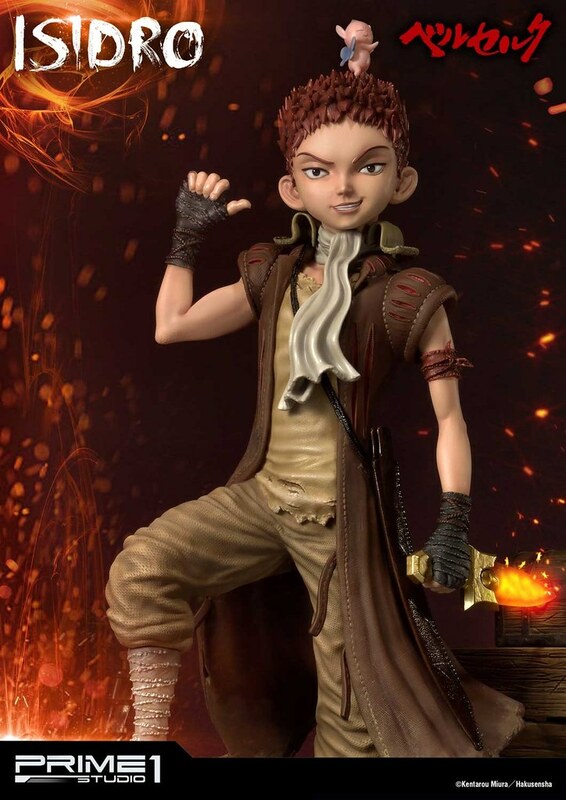 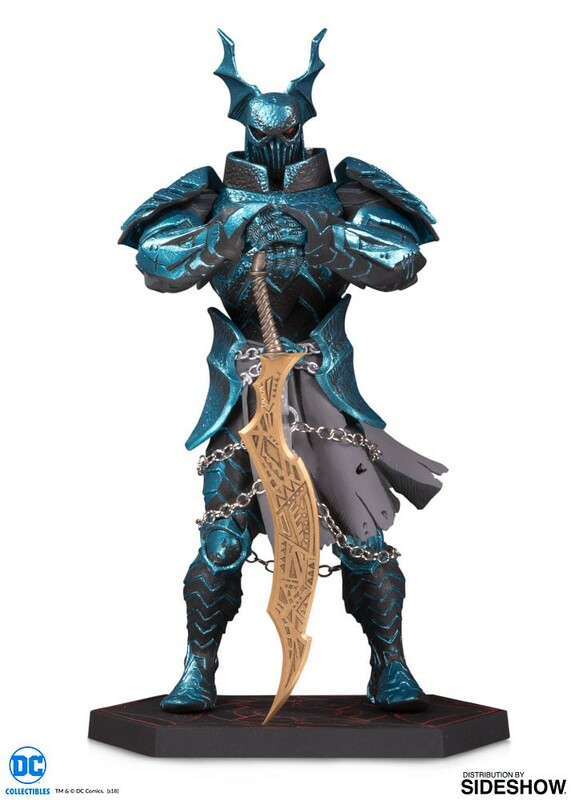 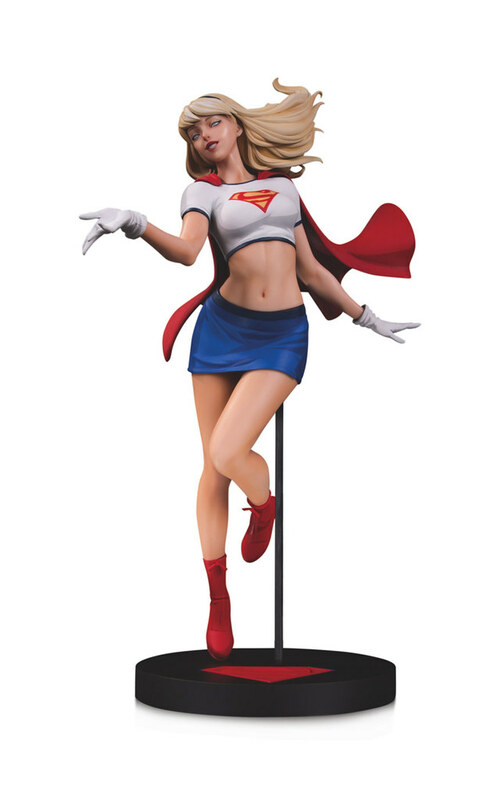 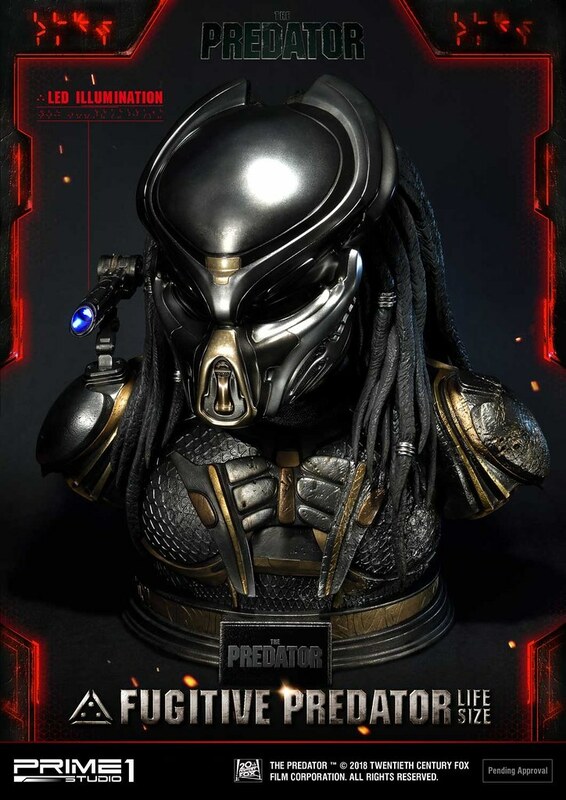 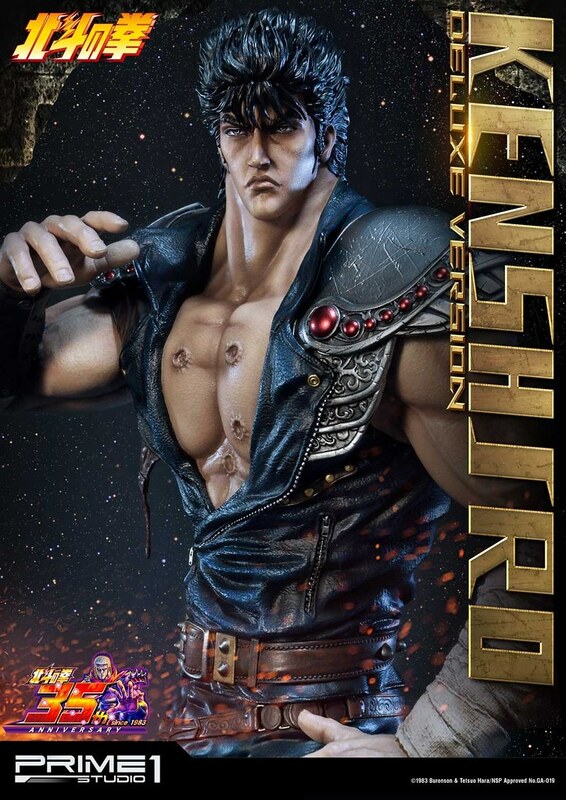 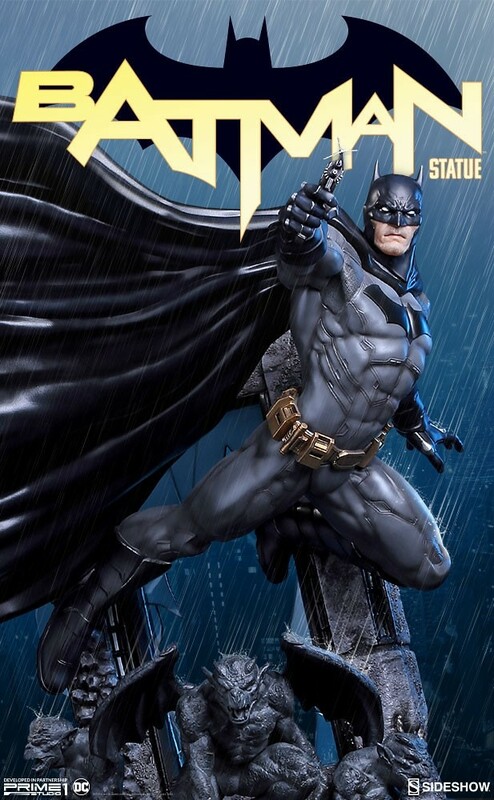 The suit has delicate details: artificial leather straps with metal lining, scale armor, and irregular stone armor all gave the statue a rich visual quality. 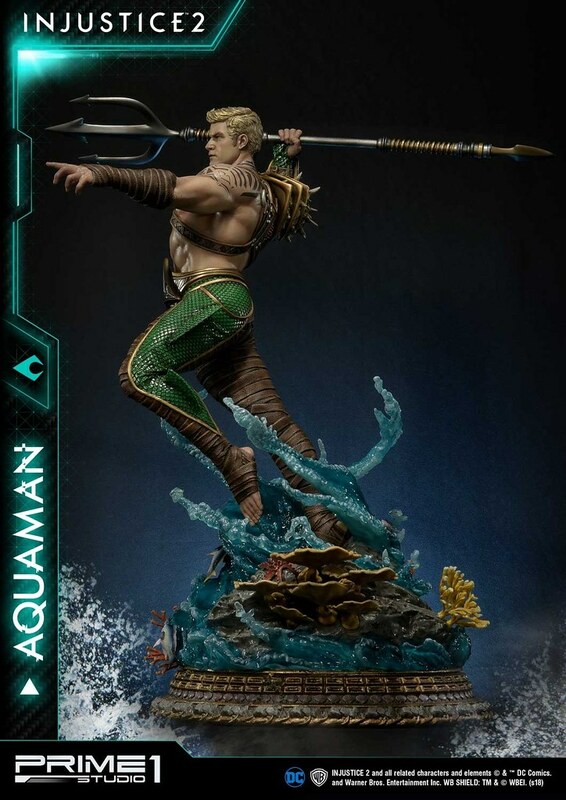 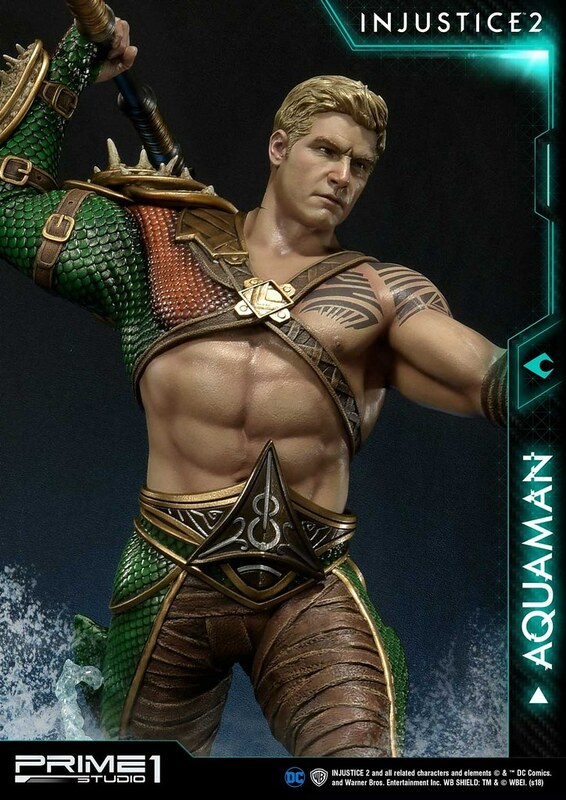 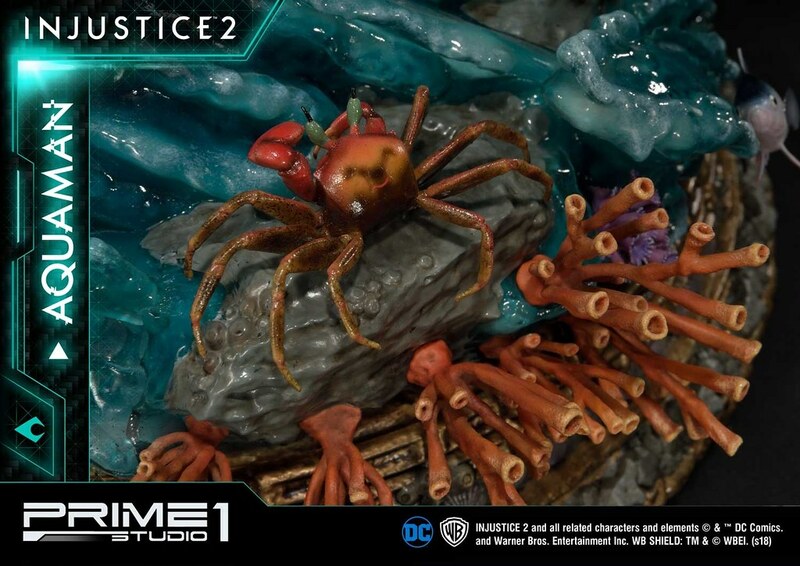 The waves that ascend around Aquaman is colored gradient while also revealing coral, fish, and crab, very glittering! 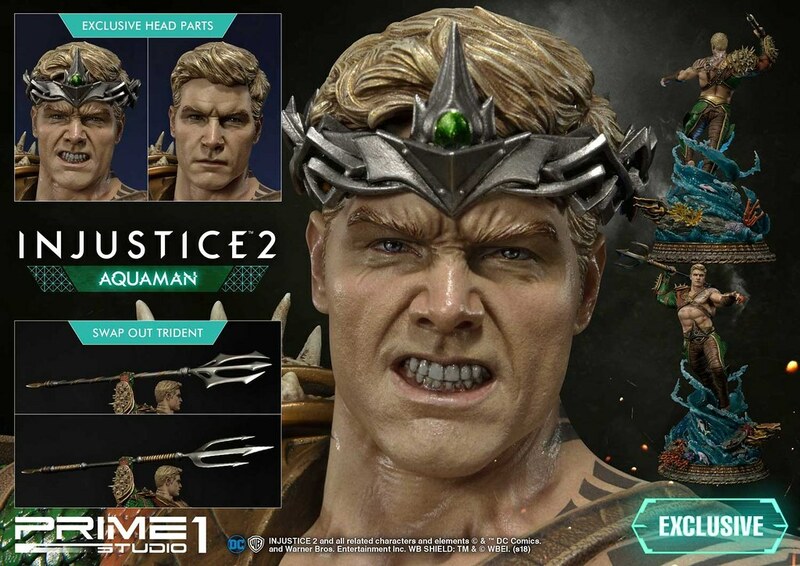 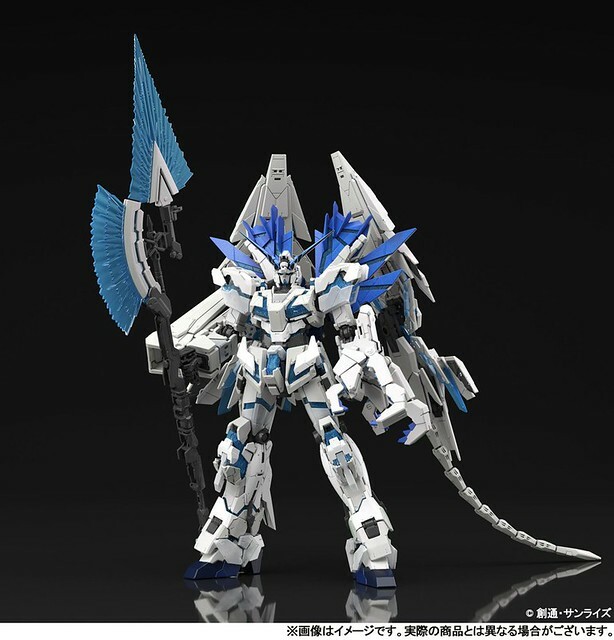 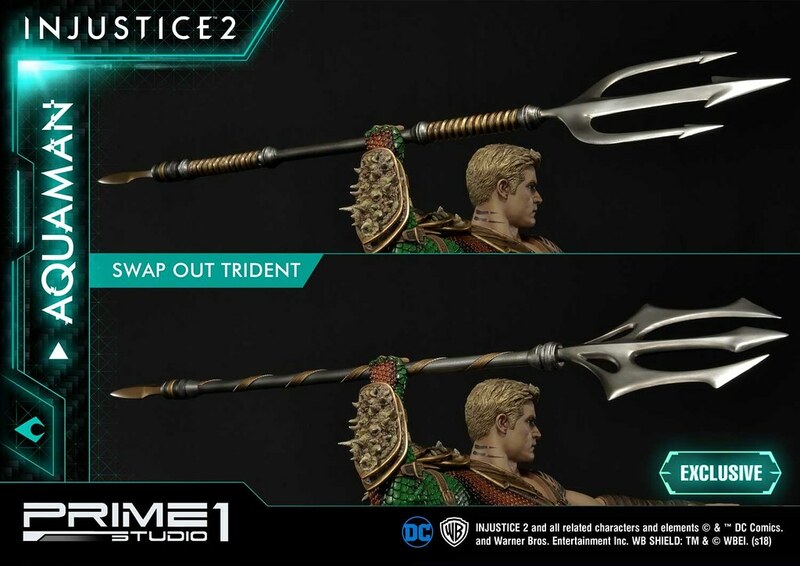 Deluxe version includes a grit teeth head sculpt wearing a Jadeite headgear and a different shape trident.